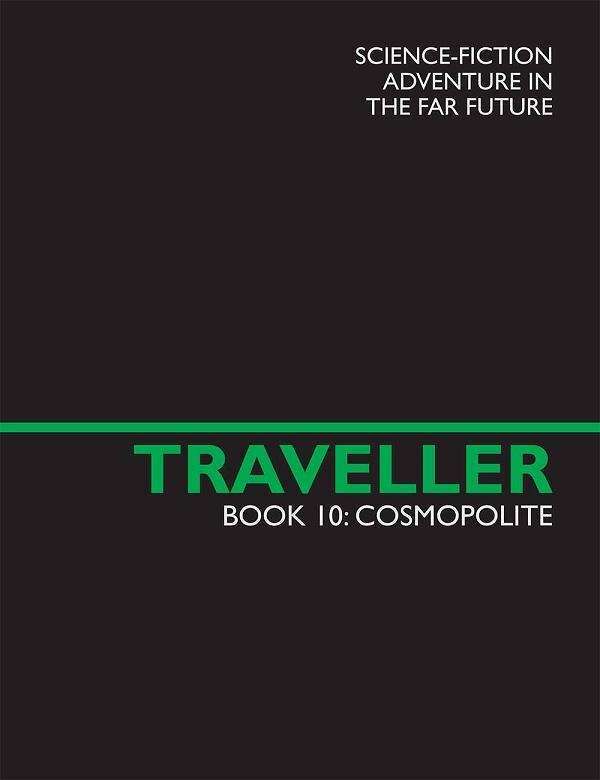 Book 10: Cosmopolite for Mongoose Traveller is now available from DrivtThruRPG in eBook form. Civilisations stand and fall, not by might of arms, but by its cosmopolites – the ordinary Citizens and Scholars who make up most of the population. Book 10: Cosmopolite provides new options and possibilities for characters who have followed the Citizen or Scholar careers. Citizens and Scholars together are keepers of the flame of civilisation. With this book, your Citizen character will be able to build Networks, a web of Allies, Contacts and Patrons that can be called upon at any time, while Scholar characters can approach their own societies and fellowships for funding and resources accessible only to scientists. Your characters can now attend University or Medical School, and try a brand new career choice, the Teacher. You will learn how to continue your research, even while you travel the galaxy, publishing papers that push the boundaries of known science. The referee is provided with all the support material he will need for Citizens and Scholars, from organisations that can act as adventure hooks or Patrons, to scientific questions that have stumped Scholars across Known Space and are now available for players to tackle!